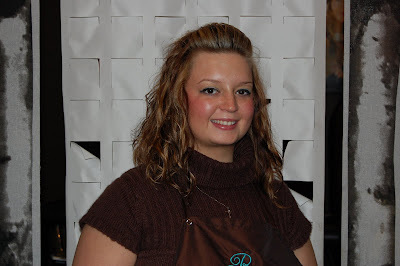 Bijou - A gem of a little salon in Skaneateles: Getting to know your stylist - Meet Samantha Mahoney! 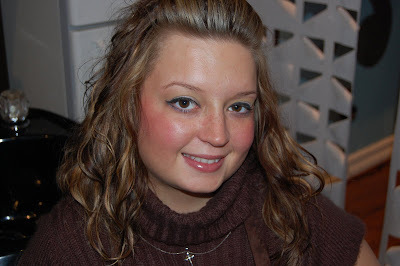 Getting to know your stylist - Meet Samantha Mahoney! So here are her answers, I like learning about the girls too! Shoulder length, multi-colored, lots of browns, blonds and reds...yes you can mix them all together! Cute and sassy! A cute sweater, plaid Capri's, lots of layering...simple and trendy! I have a lot of Beyonce on my ipod. I have some rock too, I actually love all types of music, country, pop and even Britney Spears! I love KENRA! Shine serum, and the hot spray is amazing! People who inspire me are very ambitious people. Someone who has a goal in life and goes after it! My MOM is my hero! I love fashion! I'm very up to date on everything! I love to make people feel good about themselves. I make it a personal goal to try to be good at everything I do! I really love people! Bijou is a rare salon, it's very calming. The girls all work great together and it's modern, classy and a total full service salon! I love that, you won't find another like it! "The best any of us can do is to never quit! Play the hand we've been dealt and accessorize what we've got!" So there you have it! 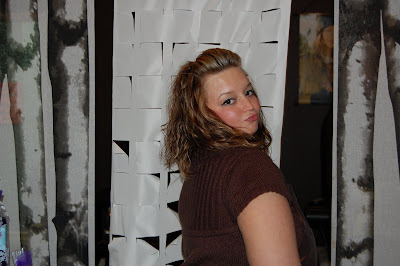 Sam is spunky and fun, she's great with a razor and has great ideas on styles!